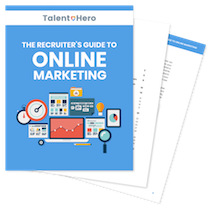 Even though the barriers to entry for the recruiting industry are low, getting started as a recruiter can be challenging. There is no university degree in recruiting and if you want to simply dive in headfirst, navigating all of the challenges of a new industry can be difficult. That’s why professional associations can be a huge help. A good organization can provide certified training courses, legal and legislative guidance, model documents and best practice templates, annual conferences, and discounts with preferred suppliers. In short, they can give you all of the resources you need to succeed. The list below contains the top professional associations for recruiters. The country and focus of each organization should help you find the right fit. Fees: Member fees are based on agency turnover. Fees: Complex dues schedule based on gross sales available here. Fees: Fees based on annual turnover. See full details here. Fees: Prices range from $240 to $1200 per year. Details are available here. Fees: $3,000 – $6,000 per year. See Dues page for details.